I started making cakes in 2006 because (thank the Lord above), I decided to stop doing drugs and found myself with a lot of free time on my hands. It started really as just something to occupy my days, then quickly became a passion. Making cakes literally saved my sanity! I gave away the first few (more like ten or twenty… lol) but soon had people saying ”Hey can u make this?” I would always say ‘I don’t know but I’ll try’. I bought a Wilton yearbook from Micheal’s and never looked back! I would get a request and buy another book and finally decided to stop being a Dinosaur and get the Internet for help! 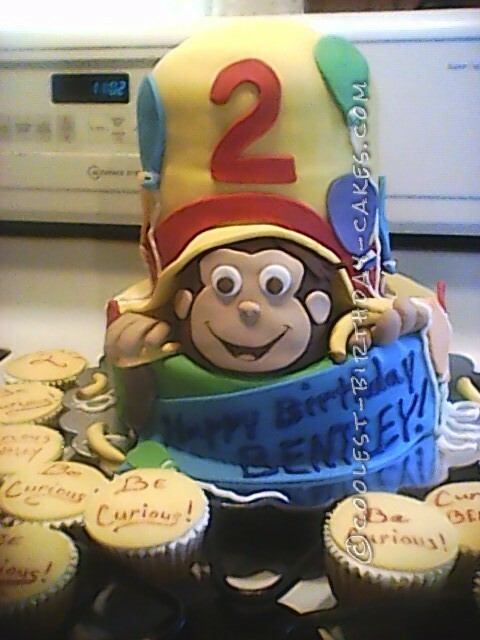 Years and many many cakes later, I had a request for a Curious George cake. 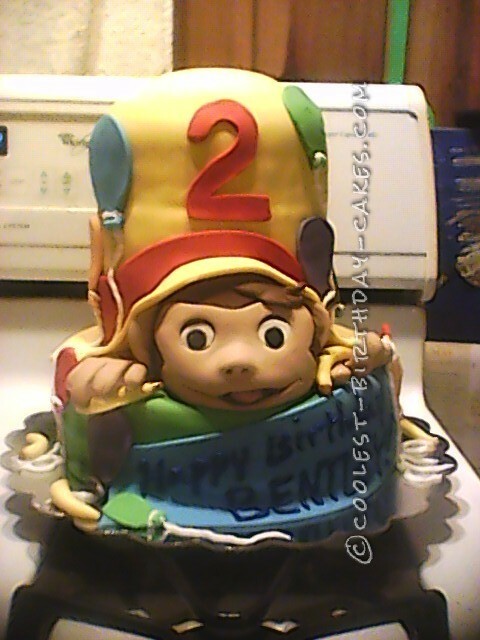 I made the cake the day before it was due, only to realize it looked nothing like Curious George!!! It looked like a monkey, just not George! I had the cake completely finished and couldn’t figure out what to do! I looked at it a while thinking “hey that just might work!” So i did just that. I took a very sharp knife and cut his whole face off and having downloaded a pic of Curious George from Google, made him another face! This one looked much better and way more like George! So here are the before and after the facelift photos. The lady I did the cake for never knew the struggle I had and said her child loved it! I learned that sometimes the simplest answer is the best one! I’ve had a few more cakes that have had problems that I thought would ruin the cake, but I always think of my niece and her advice and look for the simplest solution – and nine times out of ten, they work!! !